Setting aside the woefully understocked NES Classic, Nintendo's biggest news over the past few months has to be the upcoming release of its latest console, the Nintendo Switch. 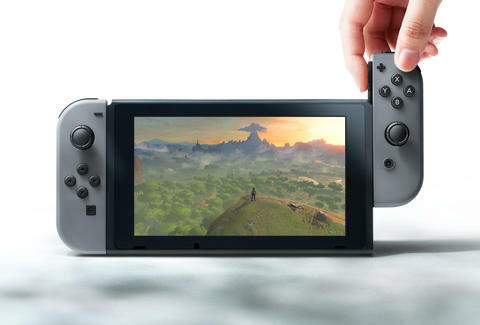 Although it released a first-look teaser video back in October, Nintendo kept us in the dark on details like the console's price, specs, and ultimate release date -- specifics that its live presentation cleared up once and for all Thursday night. Building off the outside-the-box nature of its predecessor, the Wii U, the Nintendo Switch toes the line between an on-the-go gaming platform and something you play in your living room at home. The console itself has a built-in screen and a kickstand, which means you bring it with you and either attach the controllers to the sides or set it up on a table and play at a distance -- honestly, it's easier to understand if you just watch the video below. March 3. Nintendo has officially confirmed that Switch will be available this spring and their NYC retail store announced that a limited number of Nintendo Switch pre-orders would be available starting at 9am today, Friday, January 13th. Alternatively, you can preorder a Switch from Best Buy, Target, or Gamestop. Given how well Nintendo's dealt with limited-release consoles, though -- looking at you, NES Classic -- preordering a Nintendo Switch might not necessarily guarantee you get one. What games will it feature? With over 80 games in active development, highlights include The Legend of Zelda: Breath of the Wild, FIFA, Skyrim, Super Mario Odyssey, Xenoblade Chronicles 2, Fire Emblem Warriors, ARMS, Splatoon 2 and more. $300. Initial speculation put the Switch's price at $250, but for a current-gen console, that price isn't bad at all. Unofficial reports last year pegged the Switch with a 6.2" 720p touchscreen display, and while that resolution stacks up well against similar handheld gaming systems, it's a far cry from what you'll find on any recent smartphone display. While docked however, players will be treated to 1080p resolution. The basic console also includes left and right Joy-Con controllers, a grip, and wrist straps. Where can I rewatch the presentation? Watch it above, hit up Nintendo's Youtube channel, or read all of the highlights here.